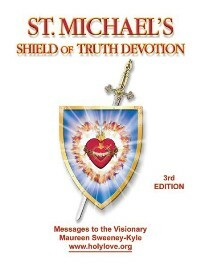 Booklet: "St. Michael's Shield of Truth Devotion" Third Edition. 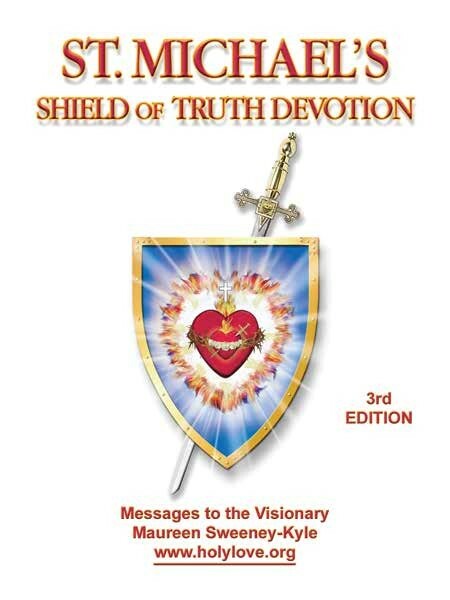 Devotional booklet with numerous messages from St. Michael, known as Messenger of Truth, inviting us to become warriors of truth. St. Michael wants to establish in the world a devotion to his Shield, which he tells us is Truth itself. ...the tip of my Sword pierces the heart of the one you pray for. Thus, in my anointing, the heart is pierced with the truth, for my Sword is also Holy Truth. Front cover measures 4.5 x 6 in. 64 pages.